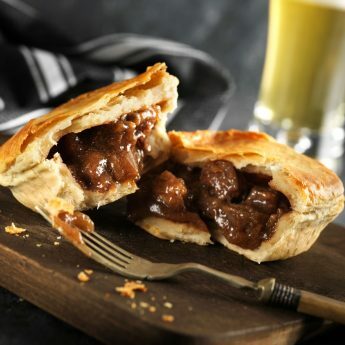 Our aim is to provide products which meet the needs of the wider community so, for our Muslim customers, we produce two ranges of Halal pies & pastries, slices and other savoury bakes at our pork free production facility. The ranges sit under different Halal accreditation bodies. 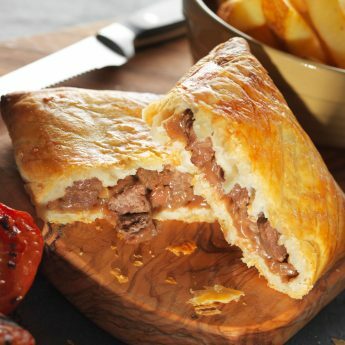 Crescent is our Halal Authority Board approved range of Halal pies and pastries, slices and beef sausage rolls. Trusty is our range of Halal Pies & Pastries and savoury baked goods, produced under the view of the Halal Monitoring Committee. These products carry the yellow sticker, signifying products have been made with an HMC representative overseeing production. When making our Halal pies & pastries we use separate, Halal designated production equipment and make them on specific days which are given over to only Halal product production. 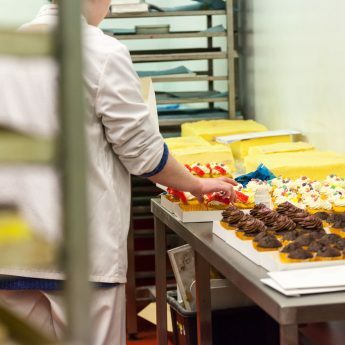 For our Halal Monitoring Committee (HMC) products, we have HMC representatives on site throughout the full process, right through from mixing the fillings to packing the cooled products after baking, to ensure they meet their standards. We also produce many white label Halal products to meet specific customers’ requirements. 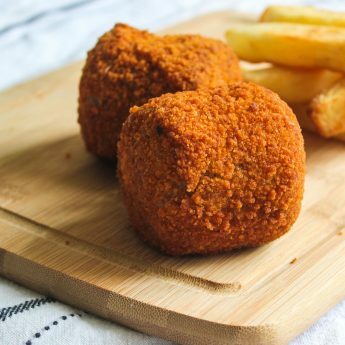 When making our Halal products we use separate, Halal designated production equipment and make them on specific days which are given over to only Halal product production. 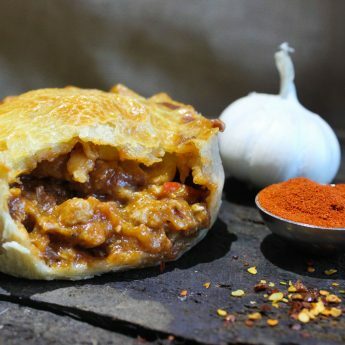 Our Halal pies & pastries are available via our Wholesale Service, our Van Sales Service, our Export Service and can also be purchased directly via an on-line shop on our Trusty website. We know these products are “tasty” from consumer comments received at the Muslim Lifestyle Show and London Halal Food Festival in 2016. The provision of Halal foods involves a great deal of trust. We want to reassure our customers that we do things in the right way. Its for this reason we have an open door policy. If you are an existing or potential new customer, simply give us a call and come in and discuss our procedures. We will explain the procurement process involved in our raw materials. We will show you around our BRC A* site and answer your questions. This means customers can sell our products having seen and understood the process. If Customers are interested in Halal Monitoring Committee (HMC) products, we can arrange to show potential or existing customers the process. We regularly have HMC representatives on site. You can talk to them and learn about the relationship we have and how we work together. During the HMC days a representative checks the full process, right through from butchery to mixing the fillings. They oversee the making of products and packing the frozen unbaked or cooled baked units. This ensures they meet their standards required. Once this is done they add the yellow sticker that is seen as a guarantee by the muslim community. Halal alternative to the British pies. Great taste!